Denise Williamson at her boutique, 180 the Store, in TriBeCa. It’s no surprise that fashion boutiques hire publicists, but how many publicists open their own boutique? That’s the back story to 180 the Store in TriBeCa, which was opened by Denise Williamson in the same building, 180 Duane Street, where she runs her fashion P.R. agency, Williamson PR. The idea is to showcase her clients (mostly Japanese labels including Visvim and Nanamica), as well as other brands that she adores. The 2,500-square-foot space is constantly in flux, and is used regularly for events and pop-up installations. What is this space? Is it a store or showroom? I think retail stays stagnant in a lot of ways. The reason we opened the space is to be able to host various brands and to launch them not only to the press but to the consumer. 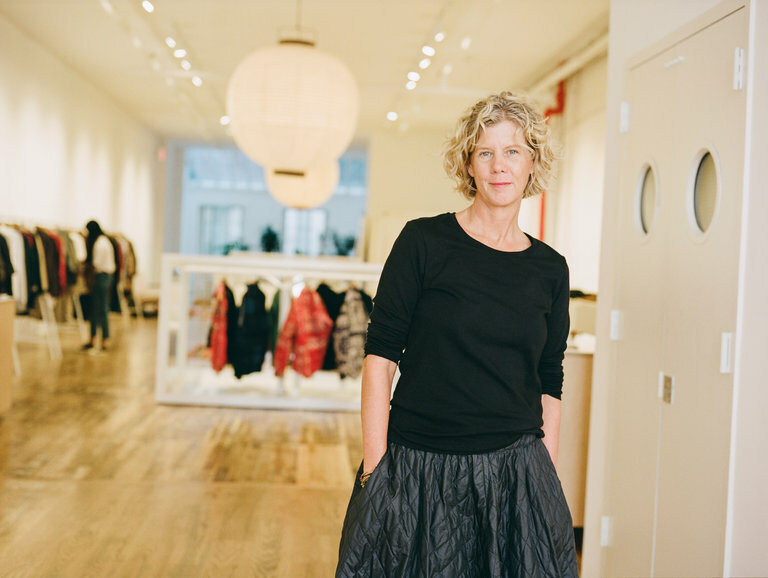 I partnered with Debi Greenberg, who is the owner of Louis Boston, who’s known for launching brands to the United States such as Dries Van Noten and Marni. I work with stores and designers all the time, all over the world, whose budgets limit their ability to display their collections. This gives them the opportunity to do it the way they’d like to. Do you carry brands that you don’t represent? Yes. Engineered Garments. Apotheke, a skin care line from Red Hook. I love their Japanese charcoal face products. We carry Curious Corners; she works with artisans in Japan. We did a Shibori dyeing class right here on our front deck. We also have Greenfingers; he’s a landscaper with a shop on Rivington and several in Japan. We now have a cafe with Laughing Man, doing pour-over coffees. They’re working with sustainable coffee growers in Ethiopia. Why so much focus on Japan? It’s not on purpose. It’s the aesthetic and the quality and the care they put into it. And the brands have a compelling story. Chimala — who I’ve been working with for 10 years — she works with very small denim factories in Japan. She once sent me a photo of a man hand-destructing her jeans on his roof, which just gives it that uniqueness that everybody is looking for today. Are other P.R. companies opening concept stores? I couldn’t tell you. For us it made sense. People like service. We focus on the one-on-one customer service you can’t get online. It’s the human touch.